As home leave comes to an end, we hope you had a restful couple of days. While some went home, others went to the Union College Soccer/Volleyball Tournament. Keep our athletes in your prayers as they finish up their last days at tournament. We are praying for you all to have safe travels, and we’ll see you on Monday! On Monday, October 22, we will meet in the lobby of the Administration Building at 8:00 a.m. for prayer. If you are on campus, please join us in praying for Phyllis Bretsch, Enoc Cadena and the sophomore boys. Juniors (and some Sophomores): The PSAT/NMSQT test is Wednesday, October 24 (school calendar correction). All Juniors take the PSAT. *Score in the top 1% of the state on PSAT and SAT to be a National Merit Scholar that receives 100% tuition paid in the United States to any private or public university or college for four years. *Practice for the SAT test, colleges will look at your highest SAT score and ACT scores and some accept PSAT scores. 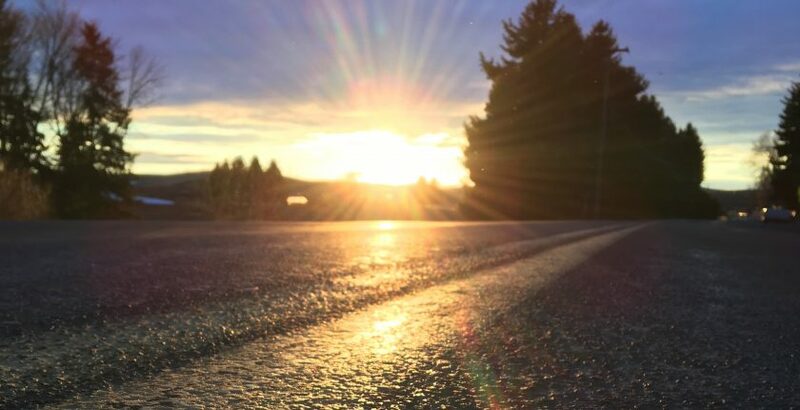 A maximum of 15 Sophomores may take the test provided (1) a parent email request is made to Julie.Hagele@ucaa.org, (2) student has a known track record of high academic ability, and (3) the $16 fee will be added to their bill. Sophomores would test as a practice run because they believe they could be a National Merit Scholar when they test their Junior year. The end of the first quarter is upon us! Make sure all assignments are turned in and grades are where you want them to be by October 26. Second quarter will begin the following Monday, October 29. Seniors, make sure your pictures and graduation tributes are turned in by October 26. Yearbook tributes are due the same day. A music tour is happening on October 26-28 with Orchestra and Choraliers to Brewster and Omak, WA. The bus will be leaving at the flagpole around 2:00 p.m. on Friday and arrive back Saturday night around 10:00 p.m. The Red Cross will be on campus on November 7 for a blood drive. By Washington State law, students 18 years of age and older may sign their own papers and donate blood. Students 16-17 years of age may donate with parental permission. If you wish to let your 16 or 17 year old student donate blood, you can find the parental permission document as well as answers to frequently asked questions on the school website at ucaa.org/redcross. You may fill out the permission slip and have your child bring it back to school after home leave. Thank you for your consideration of this service to our community. 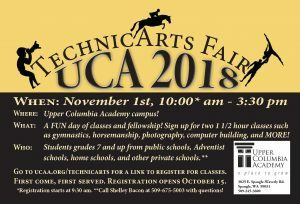 The TechnicArts Fair will be November 1, 2018. 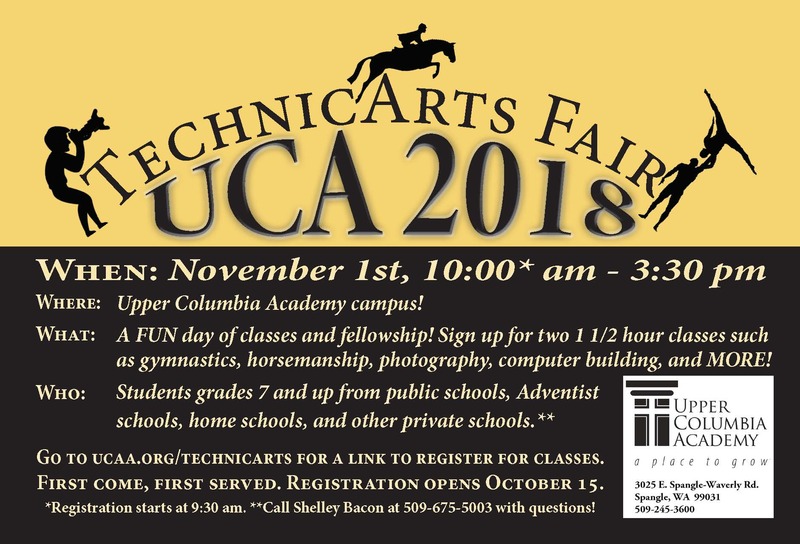 For more information or to register, contact Mrs. Bacon at shelley.bacon@ucaa.org. November 18 Parent-Teacher Conferences/Student Dismissal – 12:30 p.m.